David is a native of Atlanta with over thirty years of experience as a deal maker and entrepreneur. David joined Colliers in 2016, as Senior Vice President in Land Advisory Services through the merger of Jordan Company’s brokerage operations into Colliers International. 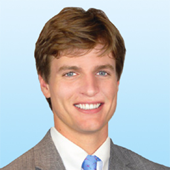 David began his commercial land advisory career at Jordan Company in 2007. From 2001-2006 David was CEO and majority owner of Velocity Sports Performance. Under his management the organization grew from a single sports training center to a franchised network of 75 open and operating units, generating an estimated $50 million in annual revenues. From 1994-2000 David was based in New York City, where he oversaw consumer products and licensing for A&E Network and The History Channel. During his six year leadership tenure he grew the divisions annual revenues from $6.5 million to over $45 million - a 700% increase. He also received an EMMY nomination for his work as Executive Producer on Peter Pan with Cathy Rigby. David has been quoted in Wall Street Journal, New York Times, Sports Illustrated, Los Angeles Times, Atlanta Journal/Constitution, and dozens of other print and electronic media outlets throughout the world. Raised in Atlanta, GA, he graduated from the Westminster Schools in Atlanta, holds a BA in English and Economics from Cornell University and an MBA from Columbia Business School. Member of Atlanta Commercial Board of Realtors. Board Member, Central Atlanta Progress. Past Honorary Board Member Special Olympics of Georgia. Rob is a native of Atlanta, and entered the real estate industry over 25 years ago. He has closed over $750 Million in land assets in his career. He has been awarded the Top Ten Land Producer Award Eight times by the Atlanta Commercial Board of Realtors and was the Co- #1 Producer in 2018 while also receiving the Alvin B. Cates Award for the most outstanding transaction in Atlanta with partner David Walmsley. Rob has deep experience and expertise in all facets of residential land, including single family subdivision land, townhome land, and multi-family land. He is also very active in industrial land and mixed use land projects. In the decade of the 90’s Rob was a corporate banker with SunTrust, and later a commercial real estate lender with Wachovia Bank (Wells Fargo). In 1999, he joined his family’s boutique land advisory firm, Jordan Company, and became President after years of managing the firm and operating as a producing land broker. In 2016, Rob orchestrated a strategic merger of Jordan Company’s land brokerage operation into Colliers International, where he is now a principal and serves as the Atlanta Market Leader of the Land Advisory Group. In 2018, Rob and his team executed $220 Million in land transactions in Atlanta. Rob has been quoted and recognized in multiple national publications including two features in The Wall Street Journal, a full interview in National Real Estate Investor Magazine, as well as the Atlanta Business Chronicle several times. Rob is a past member of REGA, The 1% Club, and currently The Commercial Board of Realtors and The Urban Land Institute. He is the past Chairman of the Woodruff Arts Select Gifts Campaign and has been active in fund raising for Wilderness Works Ministries. He is a member of the Eva Edwards Society at The Lovett School, and past Chairman of the Lovett Legacy Society. Rob lives in Buckhead with his wife and three children. 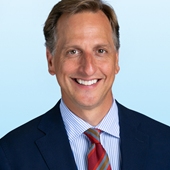 Caldwell Zimmerman is Executive Vice President of the Colliers International Atlanta office and Manager of the Colliers Land and Property Consulting Group. Mr. Zimmerman has a broad commercial real estate background spanning more than 30 years. Prior to joining Colliers in 1999, he managed brokerage operations for Coldwell Banker, Ackerman & Co. and Portman Barry. His accomplishments include a diversity of retail, industrial and urban mixed use projects. 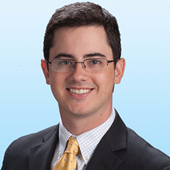 After taking an internship with The Robert S Jordan company in 2014, Michael was hired full time and eventually transitioned over to Colliers International - Atlanta when Colliers acquired The Robert S Jordan Company in April of 2016. Michael assists with the overall operations of the Land Advisory Group, working directly with brokers Rob Jordan, David Walmsley and Caldwell Zimmerman. His roles include market research, property marketing, land valuation and underwriting, database management, comparable sale searches and much more. Michael is a licensed real estate agent in the state of Georgia and a member of the Commercial Board of Realtors. Since joining the Land Advisory Group, Michael has been involved in the sale of real estate assets in excess of $350MM.